Yesterday proved to be a memorable day for Laverne Cox as she became the first transgender person to get their wax figure at the museum Madame Tussauds. The Orange is the New Black actress and trans activist has had an extremely high profile over the past year – even featuring on the cover of TIME Magazine. 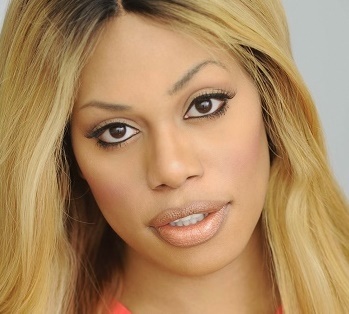 Ms Cox last year was the first trans person to be nominated for an Emmy award. The waxwork figure was unveiled on Friday 26th June at the San Francisco branch of the famous museum during the celebrations of Pride in the Bay area. She had been voted by the visitors of the Fisherman’s Wharf museum as the public figure that they would most like to see in wax. Cox donated the Herve Leger dress that she wore on the cover of Time Magazine so her new other self could wear it in the museum. “I am so deeply honoured to have been asked to be part of the Madame Tussauds legacy.” She said. “I hope that this will be a source of inspiration for everyone who encounters it to believe that their dreams matter and are possible.” The Orange is the New Black star added. This is not the only recent success for her, she was also the first transgender person to be nominated for an Emmy award.